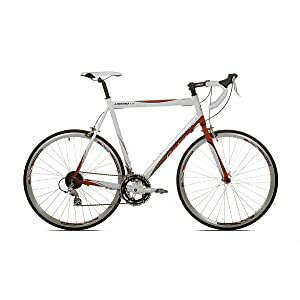 I am looking at buying a Giordano Libero 1.6,are these good bikes? Last edited by KYMISTWALKER; 10-12-14 at 05:18 PM. I am going in a few to test ride it,,it is a 16 speed i will see how it shifts in ride's. It's hard to tell much about it because other than the Shimano stuff (The brifters are Sora level but the remainder could be almost anything,) the rest is Brand X. The frame is 6061, which is easier to work and cheaper than 7005 but not as strong. And it has nice paint. That's important. But for that price, I guess if it works and fits, it'll do. but for $200 it is good for that little money . Well i looked him over today,the frame looks nice made in china sticker/but the paint looks good,,sits good i did not ride it still thinking bout it,,thx for the help. Make sure it fits first. How do you guys like to bias your tube sizes when border line. ?